If you are now engaged, congratulations! This is certainly an exciting milestone within your life. However, in order to ensure that you don’t forget this special moment, where you are no longer boyfriend and girlfriend, but not yet husband and wife, you will want to capture it! 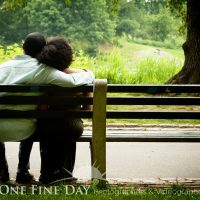 With a lovely engagement photo session, you can ensure that your most precious memories are preserved. Therefore, you will certainly want to plan yours to perfection. Full of Meaning. Where did you and your partner meet? Where did you have your first date? Is there a place where you like to frequent? These would all be wonderful locations for you to have your engagement photos captured, as they will add a great deal of meaning and sentimental value to your images. Beautiful Surroundings. The world presents us with such beauty! Therefore, you should certainly take advantage of it. From gorgeous waterfronts to stunning parks, there are an array of lovely settings that would pose as the perfect locations for your engagement photo session. So, head outdoors, and see what the world has to offer to your photos. The Details. While you may have chosen a wonderful location, it is important that you keep in mind the details that it presents. Is there a lot of foot traffic? If so, you will want to discover a spot within your setting where other people won’t be intruding. In addition, consider the weather if outdoors, along with the time of day, so that you won’t be hit by a storm, and that the lighting will be just right for the outcome of your images. With a lovely set of engagement photos, you can announce your new relationship status proudly! These are just a few tips to assist you with choosing a location for yours. Are your ready to have your own engagement photos captured with a Long Island engagement photographer? 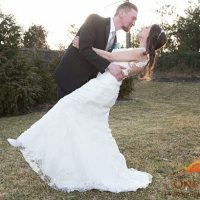 If the answer is yes, then please contact us here at One Fine Day Photographers & Videographers. 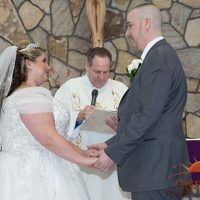 As an engagement photographer in Long Island, New York, we would be pleased to capture your love story.